A mini sized environmentally friendly wiro bound notepad that opens from the top. Miniature in size, these top opening wiro bound notepads have 60 leaves (120 pages) of lined paper. Both the cover and note pad are made with recycled paper. 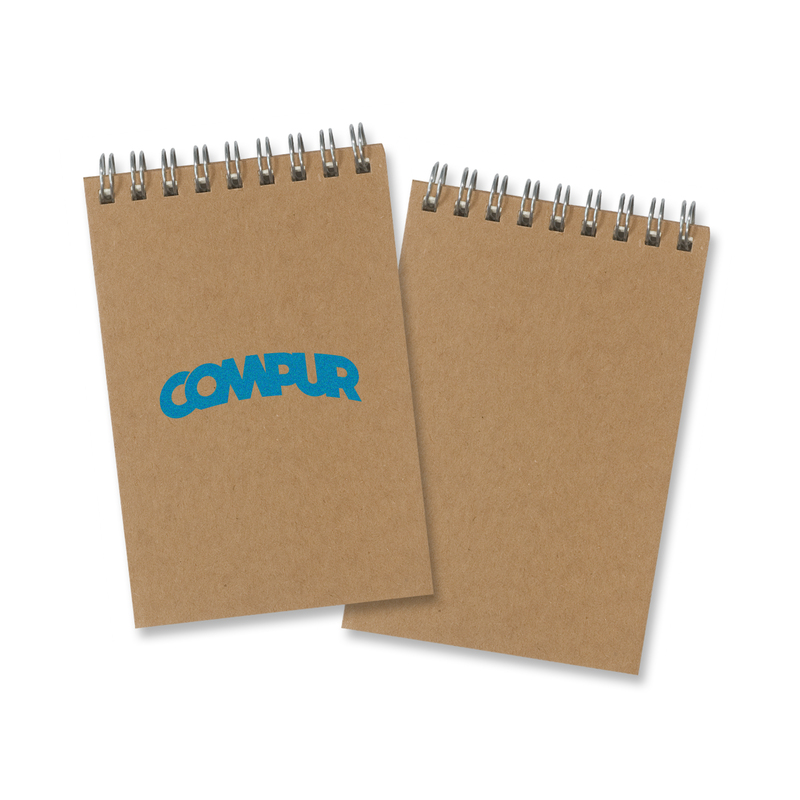 These notepads are small enough in size that they can easily be stored in your bag and even some pockets.